First of all, Happy New Year to all CLAMP followers out there! This is coming a little late since I was out during holidays — apologies for that! Thank you for following this site and its social network channels. I am committed to continue bringing you all the latest and freshest CLAMP news throughout 2015. As it has became usual for the past few years, CLAMP drew an illustration to celebrate the arrival of 2015. 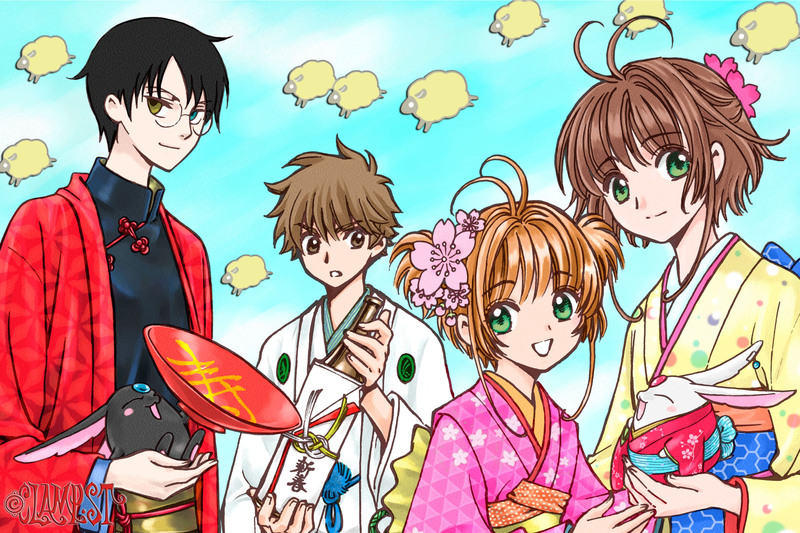 The image was posted on CLAMP’s official website and twitter account and features sheeps in the background because 2015 is the year of the sheep in the Chinese zodiac horoscope. Along with the illustration, each CLAMP member described the year of 2014 with one word and chose a word to describe their hopes and ambitions for 2015. It is interesting to see their one-word impressions of 2014 and hopes for 2015. For sure, 2014 was yet another calm year for CLAMP — like 2013 and 2012. XXXHOLiC and Drug & Drop had very slow publishing schedules, filled with breaks until they both eventually went on definitive breaks when Tsubasa returned, in August. Not to mention GATE 7 that originally went on hiatus in 2013. In the midst of travels for both business and pleasure purposes, CLAMP moved to Kyoto after living in Tokyo since their professional debut in 1989. After working for nearly 25 years non-stop and having their health compromised for overwork, CLAMP are definitely taking things slow. They are not as young as their used to be and they need to be careful if they want to keep working for many more years. That being said, even though GATE 7 is officially on hiatus, they still keep making location hunts trips within Kyoto to gather enough material to resume the series in the near future (that might also be the reason as of why they decided to move to Kyoto permanently). Also during the end of the year holidays, CLAMP member Nanase Ohkawa created an account on instagram: 7se_ohkawa. Make sure to follow her as she posts some nice photos such as this neat illustration of Hana. Here’s to a CLAMP-filled 2015! CLAMP’s official website, CLAMP-NET.COM, has officially re-opened today! The website has a “Schedule” section, listing the upcoming events and releases, and a “Blog” section, with posts from the CLAMP members.It looks very simple, content-wise, and it doesn’t fully cover all of CLAMP’s vast portfolio, focusing mainly on their main list of works. I hope the website will grow with time. CLAMP has also launched their official Facebook page, hurray! The new website was designed by vanillate. 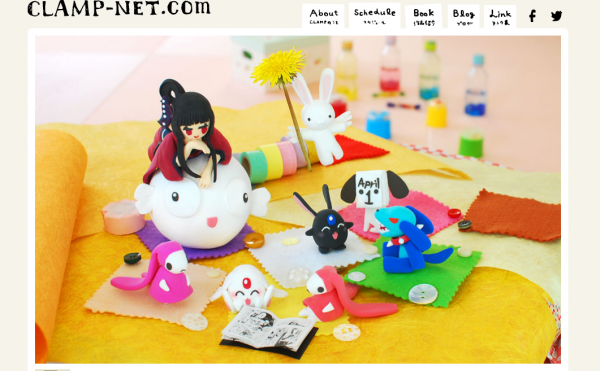 The clay dolls that appear throughout the website were designed by Miro-san. 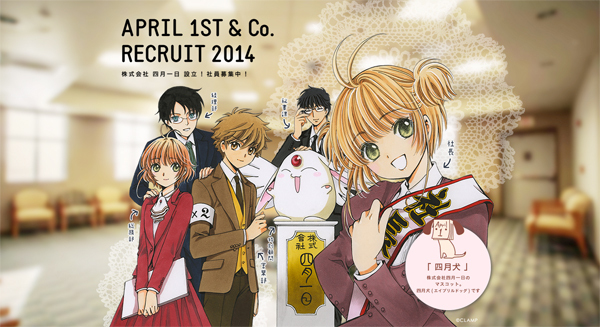 Did you all enjoy this year's amazing April Fools joke elaborated by CLAMP? That sure was fun! Some kind soul from tumblr translated all of yesterday's Twitter activity from CLAMP's official account, where details from this parallel story set in a business office were revealed. Check it out here. Some of them are really amusing! And since it's no longer April 1st in Japan, CLAMP-NET.COM no longer shows the special page that was available for the occasion. Instead, it now shows a "coming soon" image revealing that the website will be officially open in May! My guess is that they hired a new company to be in charge of their website and mobile services (the 404 pages look different than they used to look! xD), hence why the site had to be taken down temporarily. Also I wonder if they really did create a company called ShigatsuTsuitachi CO., LTD? CLAMP's official website, CLAMP-NET.COM, has been relaunched to celebrate April 1st. The website now mimics the behaviour of a company website named Shigatsu Tsuitachi CO.,LTD, with CLAMP's characters as employees of that "company". "Shigatsu Tsuitachi" means April 1st in Japanese. The "company" is supposedly recruiting employers for 2014, apparently only people who were born on April 1st are allowed. 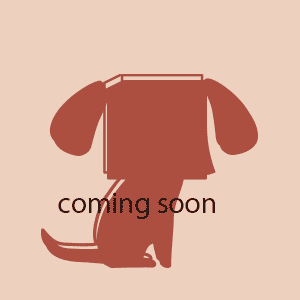 The website is offering a wallpaper featuring the same illustration used in the homapage and a tumbler template featuring the company's mascot, April Dog. CLAMP's Official Twitter account has been redesign as well to follow the website's new look. I hope the "real" CLAMP-NET.COM will be launched on April 2nd, or maybe new information will be added progressively to this site? Either way, CLAMP certainly presented us with a real treat of an illustration. I've been posting some small news on my tumblr and facebook, make sure to check them out! 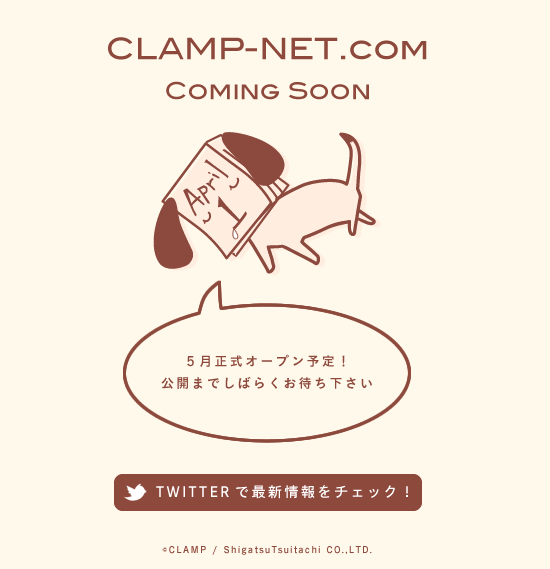 Most exciting of all so far, to me, is the re-launching of CLAMP-NET.COM soon! Yay! The official website for the Code Geass: Akito the Exiled video series announced on Tuesday that the second volume has been delayed from this spring to this summer. The website also presented a new piece of key visual art. The anime's production committee apologized for the delay and said that the release date and other details will be announced on the home page and Twitter account as soon as they are decided. The first episode opened in theaters in August. The series is planned for four episodes. The 1st episode of Code Geass Boukoku no Akito was released in DVD and Blu-ray today in Japan. Judging by these titles, we can tell which arcs have been confirmed to appear on the series. Looks like they decided to cut the arcs with creatures in it, which makes sense from a live action adaptation point of view. For those who were worried about CLAMP's official site shutting down since the beginning of this month, rest assured, the site will be back… eventually! On summary of the March issue of JUMP SQ (out Feb. 4), CLAMP left a comment saying that the website is currently closed but they are working on its relaunch and ask people to check their twitter account in the meantime. So they are working a new version that will be relauched soon. I suspected that, but they shouldn't have left us in the dark like this =P They should have said something when they closed it down (they should add something in the main page right now, in fact). It would be great to have the relaunch in April, but that's just my assumption. Already looking forward to this! Our predictions that it would feature Hana and the white tiger were right on! Each volume Hana is featured with the 4 animals of the Chinese constellation: the Vermilion Bird (volume 1), the Azure Dragon (volume 2), the Black Tortoise (volume 3) and the White Tiger (volume 4). Now I wonder how the cover of volume 5 is going to look like… any guesses? 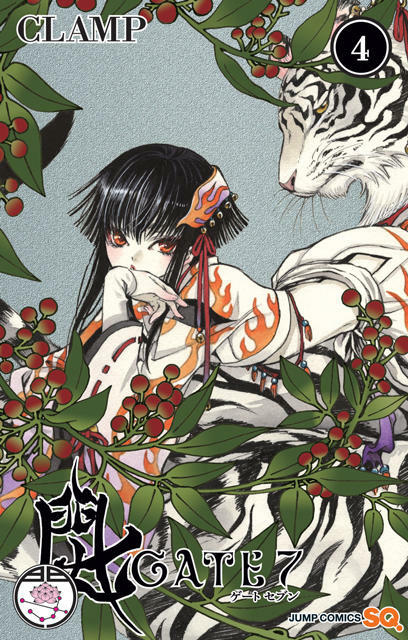 The good thing about CLAMP moving to twitter is that now the covers are posted in a much higher resolution. GATE 7 #4 goes on sale on February 4, along with Drug & Drop #1 (there is going to be a campaign for it!). On a sad note, for those who haven't seen it yet, CLAMP-NET.COM has official closed last Monday. As previously mentioned, all news are being now posted on their twitter account @CLAMP_News. Hopefully this is only temporary, even if it takes a long time for the website to be reopened. Update: Bigger version, although with less quality, here.